1 Peel, halve and thinly slice onion. Rinse parsley and shake dry. Cut pickles into very thin strips. 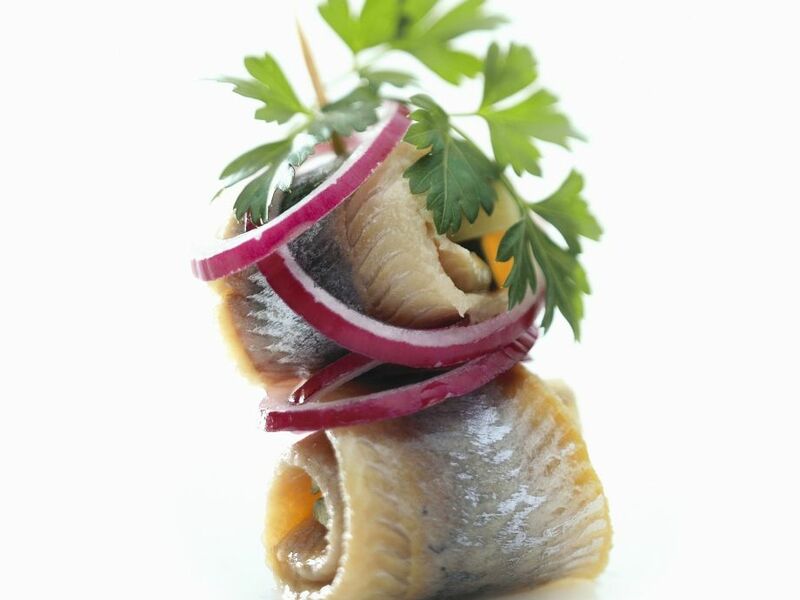 Lay pickled herring, skin-side down, on a work surface. 2 Place pickles on herring and roll up. Thread 2 rolls onto each skewer. Garnish skewers with sliced onions and parsley leaves and serve.